Construction Type Company, Multi-Complex, Commercial Building, Institutional,Residential. Gujrat only : We are engaged in offering qualitative Turnkey Civil Contractor Service to our valuable clients. Offered services are rendered by the team of our trained professionals in the best possible manner. While rendering the offered service, our personnel ensure that the offered service delivers effective results and is within the budget to gain maximum client satisfaction. Furthermore, offered service is highly acknowledged among our prestigious patrons for its flawlessness and hassle free execution. 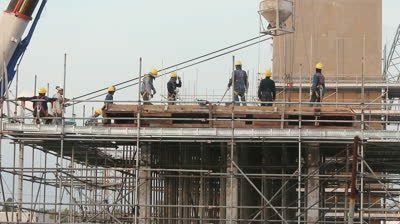 Established in the year 1998, at Ahmedabad (Gujarat, India), we “Pan Engineers” are involved in offering Civil Construction Service, Painting Service, Fabrication Service, RCC Demolition Service, Flooring Contractor Service, Plumbing Contractor Service, Turnkey Civil Contractor Service, False Ceiling Contractor Service, etc. We are a Sole Proprietorship firm backed by experienced team of professionals. We are highly acknowledged by our patrons owing to reliability, flawless results and cost-effectiveness. Under the guidance of “Mr. Pankit Shah” (Proprietor), we have gained outstanding success and popularity in this industry.